Benskydd Det finns 12 produkter. 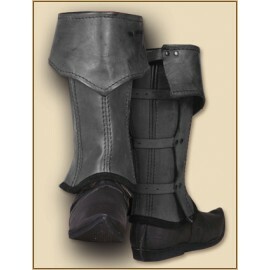 Our "Robert" greaves are composed from plaited leather straps, which are riveted together. 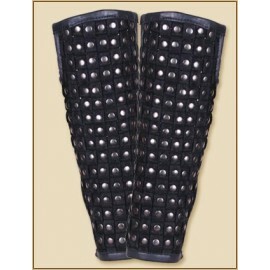 They comfort your legs and adjust very well. You can close them with three buckles.Colour: blackLength: 50cmWidth: on top 30cm; on bottom 23cmYou can find all our "Robert" products right here. 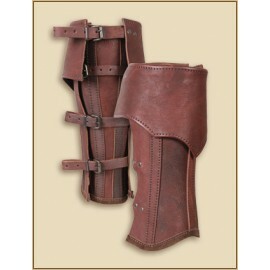 Storlekar Large Greaves Wood ElvenLeather greaves (leg protection) decorated with leather details. 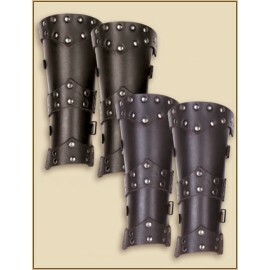 They are lined with soft black split on the back, and ties with leather tie string through brass eyelets.